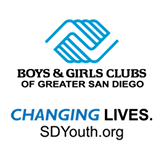 Boys & Girls Club of Greater San Diego is a non-profit organization serving children and youth between the ages of five and eighteen. For close to 70 years they have been reaching out to kids in need of a safe haven during after school hours. Learn how they partnered with NP Solutions to raise raise spirits and funds combining experience and technology. John Muir Charter Schools reached a point in their organizational development where QuickBooks was no longer going to take their Charter to the next levels of success. Learn how they discovered NP Solutions and why MIP Fund Accounting was the right answer. Needing to replace an antiquated AS400 System, Options for Learning set out to find an accounting solution that would manage the life of the organization while addressing delicate fund and grant accounting issues, cross-fiscal year reporting, improve payroll efficiencies, and automate Human Resource processes for 900+ employees. Their existing QuickBooks system could not adequately track individual funding sources, account for ‘restricted’ and ‘unrestricted’ funds, prepare meaningful budgets and revisions, or generating cross fiscal year reports without the use of frustrating spreadsheets and countless hours of manual, tedious reconciliation. That’s when NP Solutions and MIP Fund Accounting came to the rescue.